I've had 'bajjis' of different vegetables, however, surprisingly, I've never had carrot fritters exclusively. I've had them as a part of a mixed vegetable fritter dish. 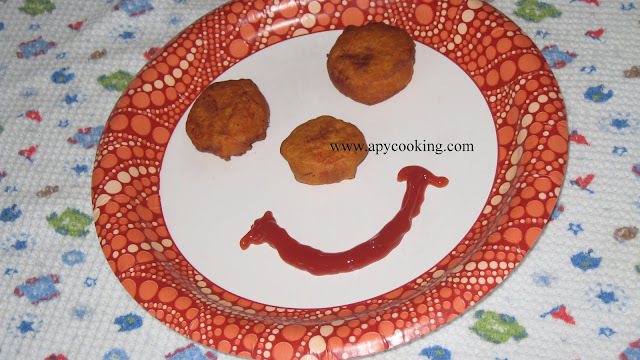 Infact a few days back, I had them (once again, as a part of a mixed vegetable fritter dish) at a restaurant and made a mental note to batter-fry carrots for my son who loves both carrots and fritters. Since I made these for my son, I used just one carrot and went very easy with the spices. 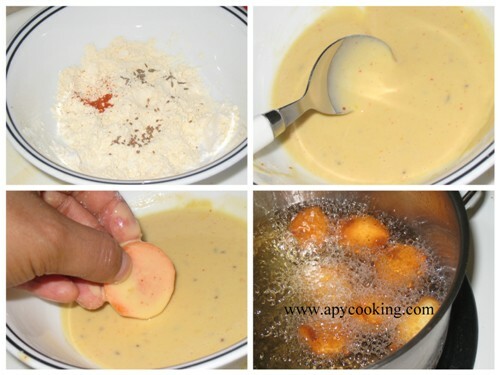 Feel free to add more spices and increase the quantity of the fritters. 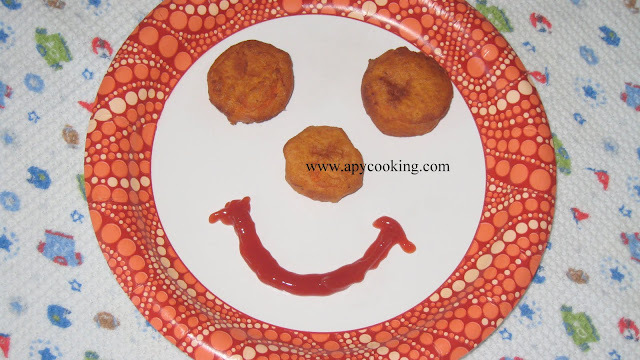 My M-I-L adds ajwain which gives a nice taste to the fritters (and has several health benefits) so I added some. Wash, peel and chop carrot into 1/4th inch slices. (Mine turned out too thick, next time I will chop them thinner). In a bowl add the rest of the ingredients. Add enough water and mix well to get a thick batter (I added about 2 tbsp water). Dip carrot slices one by one and deep fry. My son looked at the plate and smiled. 'Smiling bajo, smiling sauce', he said. The first chocolate cake I ever made from scratch was the Hershey's "Perfectly Chocolate" Chocolate Cake. It is what they call it - perfect. Easy to make, tastes great and it has never failed me. I have made this cake so many times, I've lost count - son's b'day, bro-in-law's b'day, friend's b'day, potluck parties, cake decorating classes. 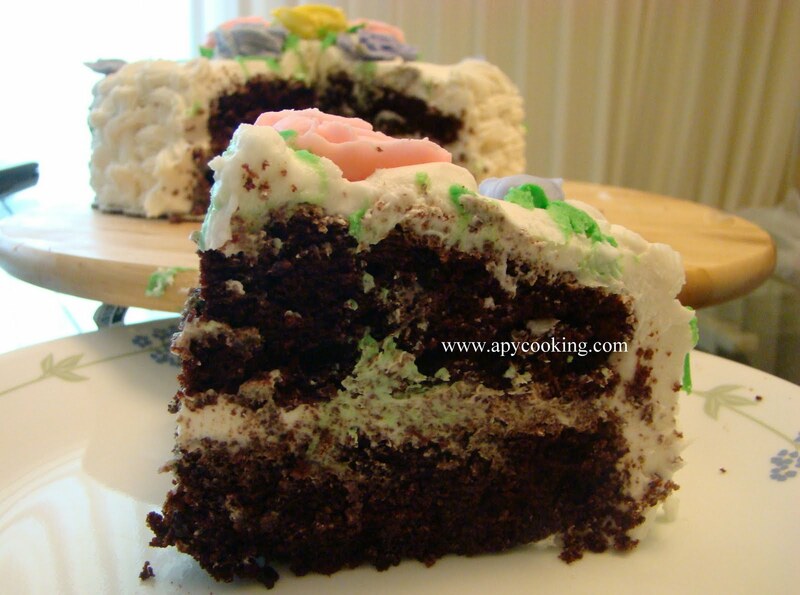 I have toyed with several kinds of frosting on the cake - Hershey's ''Perfectly Chocolate'' chocolate frosting, buttercream icing, whipped cream icing, whipped cream mixed with oreo cookie bits. Tastes great without icing too. 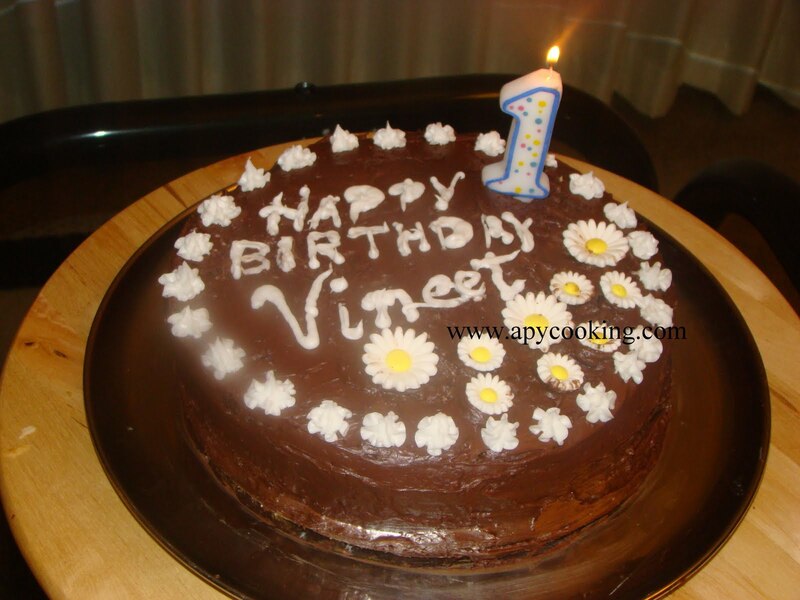 This recipe is definitely worth a try and before you know it, it may become your favourite dependable chocolate cake recipe. Pre-heat oven to 350ºF. Liberally grease two 9" round cake pans with oil or cooking spray. 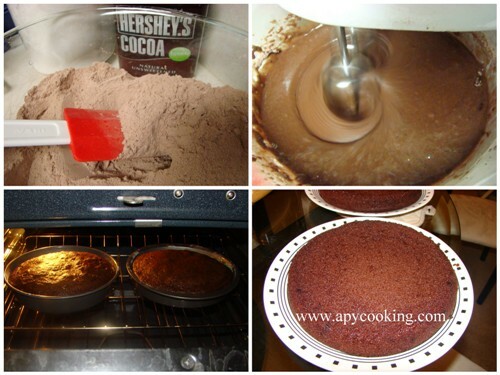 In a large bowl, mix sugar, flour, cocoa, baking soda, baking powder and salt. Add eggs, milk, oil and vanilla. 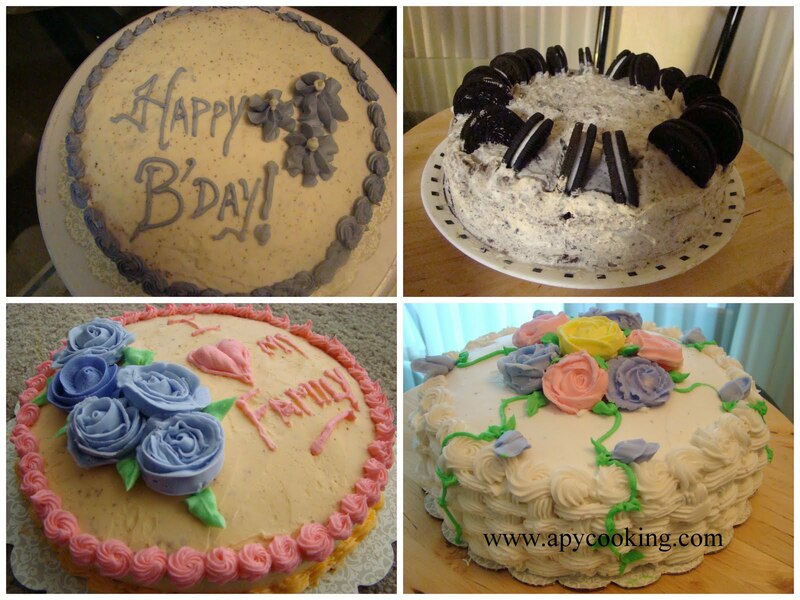 With a handheld electric mixer, beat on medium speed for two minutes. Add water and beat for a few seconds till it mixes well. Pour the cake batter evenly into the two cake pans. Bake for 35 to 40 minutes until a fork inserted in the centre comes out clean. Here are some pictures of the cakes I made using this recipe - some when I just started baking and a couple in my cake decorating classes. More on that some day. Sending this to Bookmarked Recipes and Hearth and Soul.